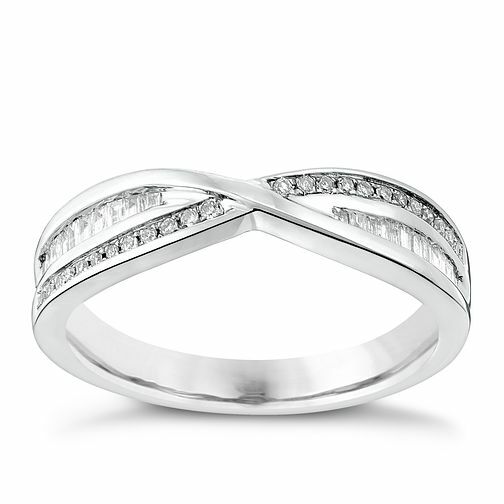 A stylish ring crafted in lustrous platinum and set with sparkling diamonds totalling 20pts. A chic combination of baguette cut crossed over round brilliant cut diamonds lends a contemporary edge to this stunning ring, perfect as a token of your love and commitment, or simply a luxurious gift for someone special. Stylish jewellery for all occasions.